Every young girl needs her very own vanity. 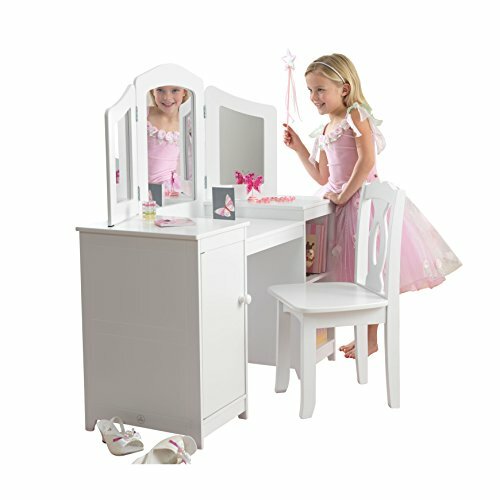 Our Deluxe Vanity & Chair lets girls see themselves from three different angles, and the shelves are perfect for storing makeup and dress-up clothes. If you're going to get ready, you might as well get ready in style. Chair: 14" L x 14" L x 28" H; Seat: 14"